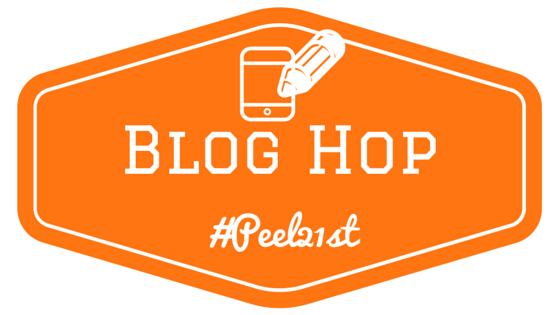 "Here's the next instalment of #Peel21st Blog Hop. This round it's all about student PASSION! Also, be sure to take a look at the blogs posted at the bottom, and hop from one to another to see some other best moments." In your current role, how have and/or could you support students in discovering their passions in your practice? I struggle with this. I think we all do. The feeling of being shackled to curriculum objectives, while trying to ensure students have the freedom to travel down paths that interest them. I think we often try to force things on our students that we feel are 'fun' or 'exciting ways to learn' but will they feel the same? I used to do this a lot when I taught business classes like Marketing. I would encourage students to create products they were interested in, but still placed restrictions and limitations on them. I thought I was doing them a favour by helping them to focus and channel their energy. I think I was doing it wrong though. I never fully encouraged them to go further with their products and actually create. I was still too focused on ensuring their projects addressed every little detail I wanted to assess. I had my checklists, my templates, and my lesson plans. They could follow their passions so long as it fit within my structures. I think they pursued projects that they knew would fit within those parameters, without fully exploring ideas they may have wanted to. And to be honest, why would they? The final product was all just an idea on paper. It lacked any real tangible element. What I find amazing now is the opportunity students have to actually create something real. The technology available to them - the possibilities for 3D production, coding for games, guides & websites for app creation, music hosting sites, video production tools etc. - allow them to truly pursue passions. It's no longer just an idea on paper, but an opportunity to CREATE! I now realize that if students were further supported to follow the design & creation process then the motivation would be there to pursue those passions. As well, that accomplishment in itself would fit any checklist, template, or lesson plan I could ever create for them. The value of making is something I need to pursue further. Something I want all my students to experience, in whatever they do. The design thinking process can take student learning to new heights. I think if we can offer this opportunity to all students, the passion for learning, like we have all felt, can take over. Talked a lot about that tonight, and it's so true. Don't simply give them a task because teachers need a product to assess. Make the learning tangible, purposeful and meaningful. So that students can investigate to the next level if that inspires them. I felt very similar to you when thinking about my Media Studies class recently. I'm redesigning the course from scratch, we are making News Broadcasts, but I began worrying about not meeting "expectations." Thankfully, I have my Overarching Learning Goals and my Learning Map to always refer back to. As long as I'm hitting my OLGs, I know that learning is happening and it's in line with the curriculum. I'm learning about the value of making something with these News Broadcasts: the kids love them. Bluehost is ultimately the best hosting provider with plans for any hosting requirments.